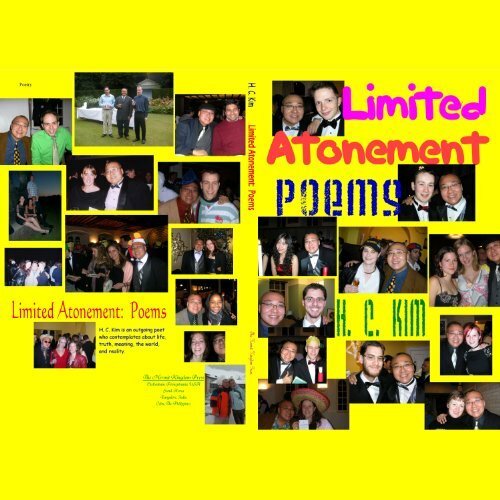 Limited Atonement: Poems is a collection of poems by the famed Korean-American poet, H. C. Kim. He has spearheaded the poetry-in-motion style of poetry writing and this collection of poems artistically follows this wonderfully creative style. The collection of poems expresses the poet's thoughts about life, experience, the world, and the aesthetics of being.